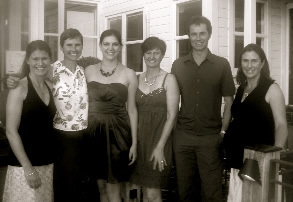 Tam completed her Physio Degree in 1994 in Otago and her Post-grad in Auckland in 1998. Working as part of Multi-disciplinary teams in Sports Medicine clinics, Tam's expertise focused on a more holistic approach striving always to find a cause, work towards prevention and encourage wellness for life in her clients. This approach led her to Pilates first in the UK and then in NZ where she initially trained in Stott-based Pilates and then with Polestar International. In 2008, Tam became a Mentor for Polestar NZ and in 2012 an Educator. Tam has been a Certified Pinc/Steel Cancer Rehabilitation Physiotherapist since 2009 and a Pinc and Steel Next Steps Trainer since 2017. Tam has a keen interest in working in Women's Health & Cancer Rehabilitation. With a profound love and wonderment for the miracle of the human body, Jonty has developed a keen interest and skill in the diagnosis and treatment of movement disorders. Having spent years working with National and International sports teams and in Private Practice, his understanding and knowledge of the anatomy of movement is vast. For him the world of Pilates has been a natural progression from his own methods of rehabilitating clients, preferring to show them the way to achieve optimum health and recovery rather than doing it for them. A keen interest in any form of physical activity ensures he remains empathetic to the needs of his clients. In 2013 Jonty completed the course & certification for both Pinc & Steel Cancer Rehabilitation, working with women and men with Cancer. Heidi Patterson is a Physiotherapist and certified Pilates Instructor. Following graduation from Otago University in 1998 Heidi has been working in sports private practice ever since. She went on to complete a post graduate diploma in sports medicine and then travel overseas continuing her Physiotherapy in London. It was here that she first started doing some Pilates for herself and discovered how valuable it could be in her treatment and rehabilitation in Physio. When she returned to NZ she decided to mix the two together. Heidi completed her Polestar Pilates Instructor certification in rehabilitation in 2008 and works in the studio with both rehab and fitness clients. Lisa comes to Pilates with a long history of working in the health and fitness industry. For ten years she instructed a variety of programmes with Les Mills Aerobics. She also ran the Taupo Events Centre Fitness Centre for two years and within that role provided physical education for the local home school students, worked with green prescription clients and instructed Learn To Swim. Outside of work, Lisa coached children's gymnastics for five years and instructed her own Sports Stretch and Strengthen class for eight years. During this time Lisa also trained as a Massage Therapist through the New Zealand College of Massage in Auckland and has owned a successful massage business since. The human body, and its capabilities, has always been fascinating to Lisa and she is excited to be increasing her knowledge and continuing her passion through the study of Pilates in such a perfect environment as Pilates Body Dynamics. Lisa is certified through Polestar International in the Studio Comprehensive course. Gemma completed her Physio degree in 2009 from Otago University where she then went on to work in private practise with a sporting focus. Gemma has enjoyed being team Physio for the KC Rams Rugby Team and the Western Australia Women’s Basketball team. Gemma started her training in Mat Pilates as an undergrad and found her love for apparatus-based Pilates Rehab whilst working in Perth, Australia. Gemma has recently moved to Taupo with her partner Kris, after several years in Perth as a Pilates Rehab Physio and as a Stewardess/Physio onboard a superyacht! Gemma enjoys running and all outdoor activities and is excited to get out and about in Taupo for the awesome lifestyle it offers. Certified Studio Pilates Practitioner - Polestar Pilates Int. Victoria took up Pilates nearly 30 years ago after being recommended to it by a Physio following a knee injury as a dancer. After spending time in the Health and Fitness Industry as a Massage Therapist and Club Manager, Victoria qualified as a Pilates Trainer in London through the internationally established, Body Control Pilates, under Lynne Robinson in 2001. She has been teaching Pilates combined with Studio Management ever since, in England, Europe, New Zealand and Ireland. In 2005, Victoria became further certified with a Studio Pilates qualification through Polestar Pilates and continues with ongoing education in Pilates and its constant evolvement. Natalie’s passion for dance began when she was 5 years old. Over 22 years of classes and performance in Ballet, Jazz, Contemporary and Hip Hop, the importance of Whole Body Health and Injury Prevention over this time has been paramount to her success. With this focus, Natalie has always used Pilates to benefit and complement her dancing, using it to improve balance, flexibility, technique and overall body health. With a desire to help others achieve the same benefits, and more, through the way of Pilates, Natalie embarked on the comprehensive training through Polestar International. Now, Polestar Pilates Certified, Natalie feels absolutely blessed to be working with Tam and Jonty and their team, whom she did much of her training with.